What is Home Acoustics Alliance (HAA) Training? HAA will be offering three training certifications and classes. The new training provides three levels of certifications. The new training takes the best of HAA to make the finest audio training in the industry. With important discussion topics like Dolby Atmos, new acoustical treatment strategies, a new more efficient calibration process, and more. This session will be fun and extremely useful for the Pro who wants to be the best. In addition, we prefer to think of our Pro Graduates as members of the HAA. The purpose of this website is to provide the best after-the-class support to aid in problem solving and to continue the learning experience. We are available to consult by phone or digitally to make sure you are successful. Small room acoustics is a technical endeavor and we realize one trip to a class may need some refreshing. ​This class teaches the fundamentals of proper Home Theater design principles along with an overview of important acoustical principles and terms. It’s ideal as an introduction to small room acoustics for the pro, but it offers totally new insights on high performance design for more advanced students. It’s also a must-attend class for AV sales people, project managers, and every integrator. Enthusiasts are also welcome. We’ll discuss professional design requirements for room construction and room layout including the proper positioning of seating, speakers, sub-woofers and acoustical treatment. There’s new ideas here that you likely haven’t heard about. While the material is technical, the class will focus on creating a clear understanding using basic terminology and discuss ways for integrating proper acoustical design with modern interior design preferences. ​This is an advanced how-to design/calibrate class evenly split between class room training and a hands-on workshop. While created for integrators, it is great for designers, project managers, and even enthusiasts. The class leverages the HT Design principles introduced in the HT Adviser class with more technical explanations and examples. It discusses acoustical principles to create a deeper understanding of HAA design standards aiming to prepare the student with better problem solving skills. The class includes the HAA TurboCal Workshop designed to start you running with an efficient and practical audio calibration process; we will calibrate a live system during the workshop. Training high points include learning how to use an FFT and RTA analyzer, how to be a pro listener, calibration documentation, advanced sub-woofer calibration, speaker and seating placement, and designing a practical acoustical treatment strategy. Prerequisite is previous HT1 class attendance within the past year. Don’t forget there are discounts for retaking classes for current HAA Members. ​This workshop is an all hands-on session designed to bring all the prerequisite training to the test. This class pulls all the information and techniques from the prerequisite classes into a fantastic review and cements the concepts for the most complete understanding. The student is teamed with no more than 5 others who are tasked to incrementally design and calibrate a high performance system. Nothing less than amazing results are allowed. The team is asked to complete the HAA PowerCal process including several eye-opening instructor led learning sessions conducted with your audio system. You’ll understand subwoofer placement, room modal analysis, speaker/seating placement and acoustical treatment design from both a theoretical and experiential point of view. Our rule is that nothing is changed without measuring and hearing the difference. This class will change your perspective on audio and open up a new opportunity in building high performance systems. Pre-requisite is previous HAA HT2 Integrator class attendance within the past year. ​What to bring: You are welcome to bring your laptop and test gear for tool specific advice, but it is not used in the class: Laptops and test gear will be provided. Workshops use the AudioTools Audio Analysis package for iPad and the HAA Audio Calibrator Kit. ​Gerry Lemay is the Founder of the Home Acoustics Alliance (HAA), and President of Quest Acoustical Interiors Inc.. 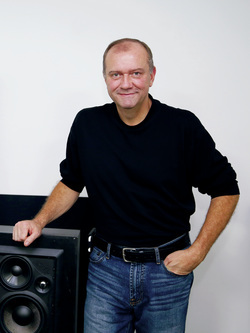 He has extensive experience in consumer electronics technology and acoustics first entering the industry in 1977. He has worked as business executive in CE retail and manufacturing, and spent 28 years in the US Navy Reserve recently retiring as a Captain. Gerry has designed hundreds of theaters worldwide and taught hundreds of seminars and workshops on high performance audio design and calibration throughout the world. This includes the highly successful development of the HAA China and now HAA India. His work with CEDIA over the years has been as subject matter expert, instructor, course writer and the update of the newest version of the CEDIA Technical Reference Manual’s section on audio. The Home Acoustics Alliance has developed the foremost course for Home Theater Acoustics design and performance. Whether you are seeking improvements in an existing system or building a new one, the course provides the framework and knowledge to practice acoustic design and calibration in the field. The various "Elements" that outline this framework are reviewed by the acoustical calibrator and graded based upon how well they conform to industry standards. The calibrator then has the information necessary to "pro"scribe the required changes to bring performance up to its best. The final analysis of performance is then summarized in a concise System Performance Report judging performance based upon our fundamental acoustical goals (see below). These goals are common to to all home sound systems. If your current AV Contractor is not HAA Certified, many consumers will hire an HAA Calibrator to review a proposed design as an outside consultant. To earn your CEUs, simply provide CEDIA with a picture of your HAA Certificate, and reference the appropriate CEU# listed below. ​Clarity is the prime acoustical goal because its perfection depends on the successful attainment of all other goals. Of paramount importance is dialogue intelligibility in movies, but one must be able to understand musical lyrics, detect quiet background details, and sense realism for acoustical sounds. Elements that affect this goal are varied including equipment quality, room reverberation levels, ambient noise levels, and listener position among others. ​The ability to precisely locate each reproduced sonic cue or image in a three-dimensional space is defined as acoustical focus. Recordings contain many such images superimposed side to side and front to back in every direction for 360 degrees around the listener. A system is said to have pin-point focus if, from the perspective of the listener, each of these images is properly sized, precisely located, and not wandering. Good focus also provides that individual images be easily distinguishable from amongst others within the limits of the recordings quality. An audio system should reproduce virtual images of each recorded sound presenting the listener with its apparent source location in a three-dimensional space. Each sonic image relates a part of the recorded event and together these sounds compose a wrap- around sound-stage that envelopes the listener. Proper envelopment requires that the sound-stage be seamless for 360 degrees without interruption by holes or hot spots caused by speaker level imbalance or poor placement. While envelopment requires three-dimensional imaging of all sonic cues, of pivotal importance is the realistic recreation of the ambient sound field of the recorded venue. Focused sounds become more realistic as they move side to side and front to back with the backdrop of the ambient sounds of the intended venue. Dynamics is simply defined as the difference between the softest and loudest sounds reproducible by a sound system. While much emphasis is placed on the loudness side, it can be shown that the audibility of the softest sounds is an equal measure of system performance. Among the acoustical requirements for proper envelopment, focus and clarity is the necessity of hearing the sonic cues relating these qualities. If they are overwhelmed by excessive ambient noise or reverberation in a room, they are not properly audible. At a minimum, a system must be capable of reproducing loud passages with ease and without excess while soft sounds remain easily audible. The frequency response of a system is a measurement of the relative levels of all reproduced audio frequencies. The smoothness of response can be observed in a variety of ways; as improper tonal balance including boomy bass, excessive treble, improper musical timbre, or a general lack of realism. Factors of importance include selection of high quality components, and proper system set-up including (in a small room) proper listener position, speaker position, and correct use of equalization. At a minimum, the system must be non-fatiguing all sound levels, articulate and faithful to the original signal. Register For An HAA Course Now!